A test of your character: can you watch back-to-back clips of other people’s misfortune without laughing? If you want to play in the water in style while also caring for the environment, you’ve got to check out the Quadrofoil. 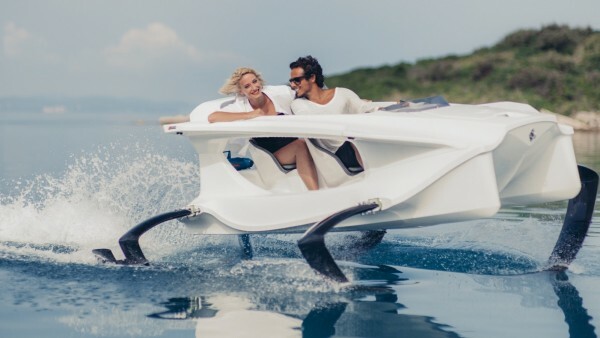 The Quadrofoil is an all-electric motor combined with aerodynamic, futuristic design elements will have you traveling at up to 20 knots without spilling even a minuscule drop of oil into the water. Not only is it the most efficient personal watercraft, but you’ll benefit from extremely low maintenance costs, and that means little impact both on your wallet and the environment. There’s one name on every ice cream lover’s lips: Jeni. Based in Columbus, Ohio, Jeni’s Splendid Ice Creams have now made their way around the country – both in stores and via direct-to-home delivery – and these pints are putting Ben & Jerry’s to shame. Each ice cream is starts with milk from grass-grazed cows and is flavored with quality ingredients, including locally sourced fruits and bean-to-bar chocolates. But it’s not just about all that because what really sets Jeni’s Splendid Ice Creams apart is the rich taste and texture. 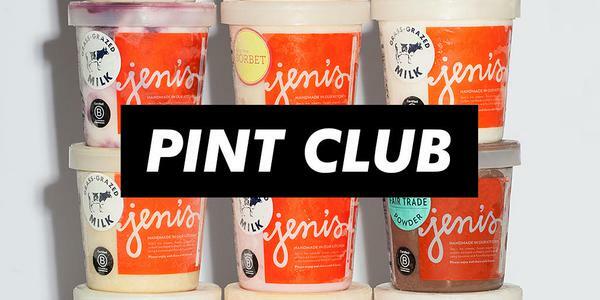 Join the Pint Club to get quarterly packages that contain three selections: a signature flavor, a perennial flavor, and a limited-edition flavor. Sign up now to get in on the spring shipping date, and in about a week you’ll receive a handwritten note, plus four ice cream spades to replace the standard spoon for digging in. 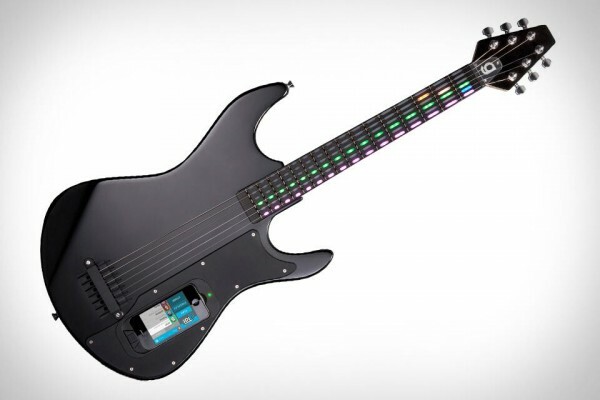 Ready to advance from Guitar Hero to real guitarist? The Gtar is the halfway point you need. The built-in dock for an iPhone gives the guitar a set of training wheels, activating the lights on the fretboard that guide your fingers. Aside from that, it’s built to be just like any other guitar. The heavy feel of the strings and feel of the fret enables novice players to transfer their new finger stylings onto other instruments. Once you have the hang of strumming, the app will not only help you learn new songs but create them too. Dreaming of being part of the Rebel Alliance, or joining forces with the evil Galactic Empire? Your PJs can get you one step closer – or at least they’ll set you up to drift off to LaLa Land in total comfort, dressed up as Boba Fett, R2-D2, a stormtrooper, or Darth Vader himself. 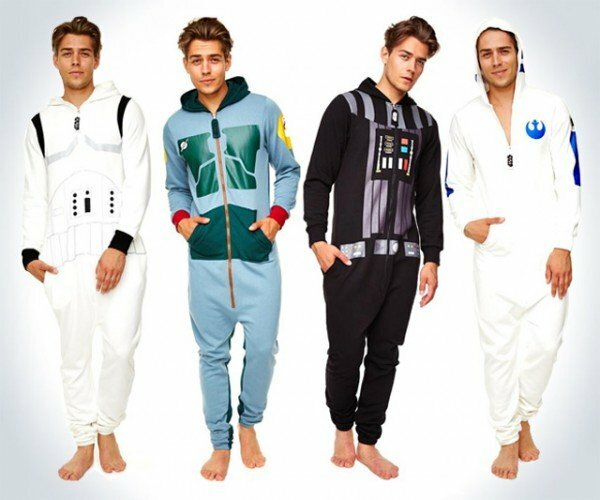 Star Wars adult onesies are made of a cotton-polyester fleece and sport a cozy hood and front pockets. You’ll be well-dressed whether you want an easy option for a costume party or just want to chill on the couch playing Star Wars: Commander on your iPad (or KotOR if you’re kickin’ it old school). The most important thing you can do in the beginning stages of learning a subject or activity is rooting out and fully grasping the fundamental principles that inform everything else in the subject–the 20% of the knowledge that will ultimately produce 80% of the results. Only then–when you’ve really wrapped your wits around the core knowledge–can you profitably explore the fringes, niches, and esoterica, understanding what fits into and optimizes the whole and what is superfluous and disposable. I’ve read and dissected quite a few books on writing (at least 35 to 40 by now) and continue to read in the topic, looking for more to learn and apply, and every now and then I come across a book that does a fantastic job teaching the 20% in a fresh, insightful way, carefully weaving in carefully chosen “non-essentials” that illuminate rather than digress or confuse. Stein on Writing is one of those books. In fact I’d put it in my top 10 on writing instruction, for both fiction and non-fiction writing, and recommend it as a must-read for all writers. First and foremost, Sol Stein isn’t a failed writer or editor trying to teach the hapless what he himself couldn’t master–he’s a bestselling author of both fiction and non-fiction works as well as a highly accomplished editor, responsible for publishing an impressive roster of books that have sold millions of copies. He’s a seasoned pro that knows, firsthand, what makes writing compelling and what degrades it, and he holds nothing back in Stein on Writing. I highlighted so much in this book that the pages look like kaleidoscopic battlegrounds (yeah, I have a multicolored system of highlighting and notation–don’t hate). 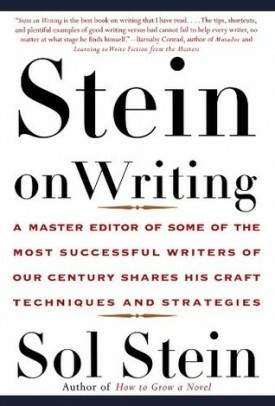 No single book on a subject is ever enough to teach you everything you need to know to be a real pro, but some books cut through all the noise and show you how to stop making fatal mistakes and get results now, and Stein on Writing is one of those books.